Man On Motorcycle Injured In Accident On S. Congress In Lake Worth | Schuler, Halvorson, Weisser, Zoeller & Overbeck P.A. A motorcyclist was injured in a two-vehicle accident, Palm Beach County Fire Rescue said. The wreck happened at South Congress Avenue, just north of 2nd Avenue North. The motorcyclist was traveling on South Congress Avenue when he was hit by a car traveling on the same road. The impact of the crash threw him off his motorcycle and he landed on the street. First emergency responders arrived shortly after the crash happened. Rescue crew found the motorcycle rider laying in the roadway, according to fire officials. 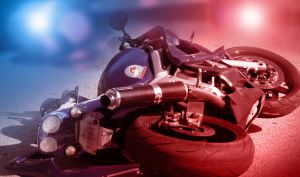 The rider was taken by helicopter to a local trauma center with serious injuries. The extent of his injuries and his condition is unknown at the time of filling this report. According to the Palm Beach County Fire Rescue, investigation is ongoing. The identities of both the injured motorcyclist and the car driver are yet to be released.